Objectives This study attempts to determine whether or not prolonged standing at work involves an excess risk for the occurrence of varicose veins. Methods A cohort of 1.6 million 20-to-59-year-old Danes gainfully employed in 1991 were followed for 3 years according to first hospitalization due to varicose veins of the lower extremities. The exposure data came from a representative sample of the baseline population.  Altogether 5940 people were interviewed about occupational exposure and confounding factors. Results For men working mostly in a standing position, the risk ratio for varicose veins was 1.85 [95% confidence interval (95% CI) 1.33-2.36] when compared with all other men. The corresponding risk ratio for women was 2.63 (95% CI 2.25-3.02). The results were adjusted for age, social group, and smoking. Conclusions Working in a standing position is associated with subsequent hospitalization due to varicose veins for both men and women.